Mid-Autumn Festival is a time spent with family and friends. 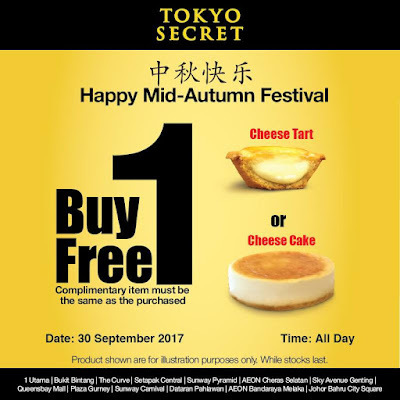 Tokyo Secret is offering a special promo of Buy One Free One Cheese Tart OR Cheese Cake which also resembles the moon. Get it now and celebrate! 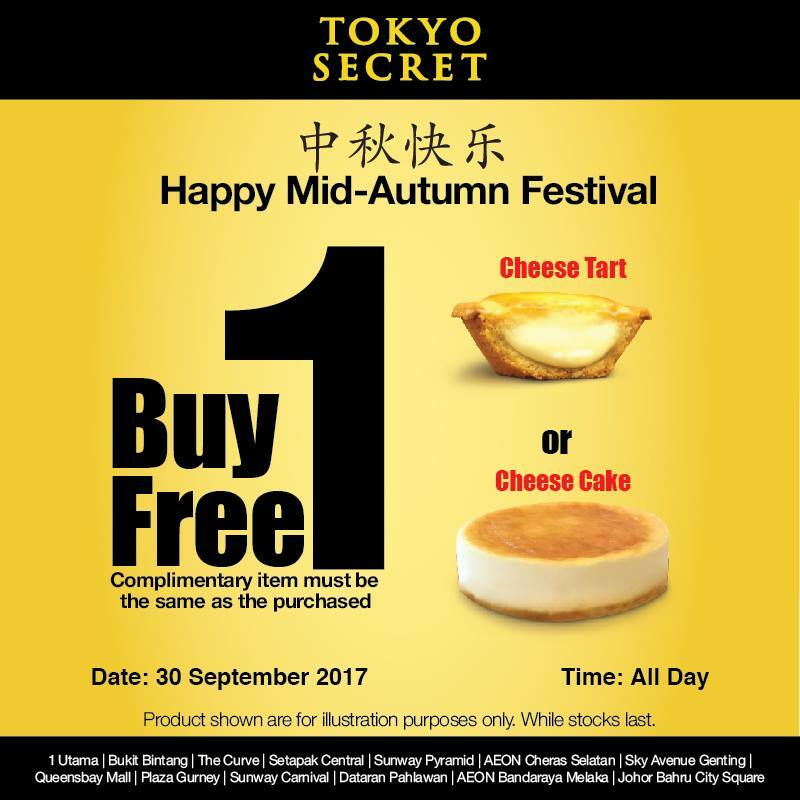 Date: Saturday, 30 September 2017 (1 Day Only).